Enchiladas, tacos and other Tex-Mex dishes will be the focus of artworks by Russian artist Petr Shvetsov in the Carillon Gallery on South Campus. 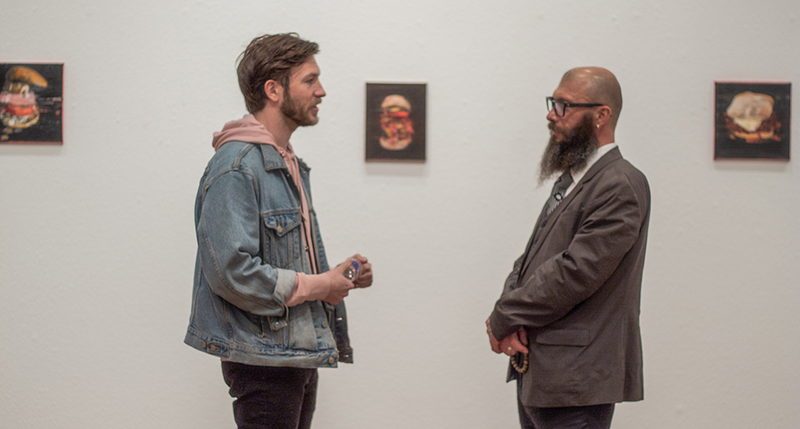 “Shvetsov is currently an artist-in-residence on South Campus and is busy ‘studying’ Texas/Southern-style food, which will be the subjects of new paintings for his show,” South art instructor Martin Molina said. Shvetsov was invited by South fine arts chair Joshua Goode. “As an artist-in-residence, we are hosting Petr to come to South Campus for three weeks to create his artwork with our students and community,” Goode said. The exhibit will display 25 new painting by Shvetsov. 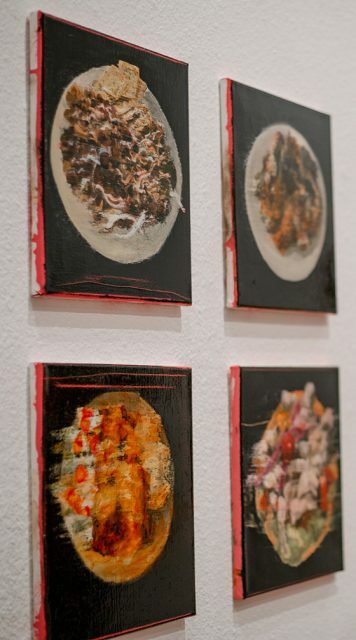 The focus of his paintings is Tex-Mex food, something he said he came across a lot during his stay. Shvetsov has painted Texas food as classic portraits including enchiladas, tacos, ribs, brisket, chicken-fried steak and Frito chili pie, Goode said. Shvetsov is from Leningrad, Russia, and lives in St. Petersburg, where he is a member of the St. Petersburg Union of Artists. He specializes in paintings, sculpture and printmaking. During his time on South Campus, Shvetsov has given presentations to students about his technique. “Petr transformed the Carillon Gallery into his painting studio, which allowed students to work side-by-side with him and gain invaluable professional experience,” Goode said. Shvetsov said it’s good for students to see how he paints and how an artist works. Molina is excited for students to attend Shvetsov’s exhibit. “This opening is a great experience for students to meet a practicing internationally-known artist and gain some insight on the creative outlets and the world of fine arts,” Molina said. People can connect to culture through the food, Shvetsov said. “We hope students can view this work and feel inspired about the process of manipulating multiple cultural influences to produce art,” Molina said.